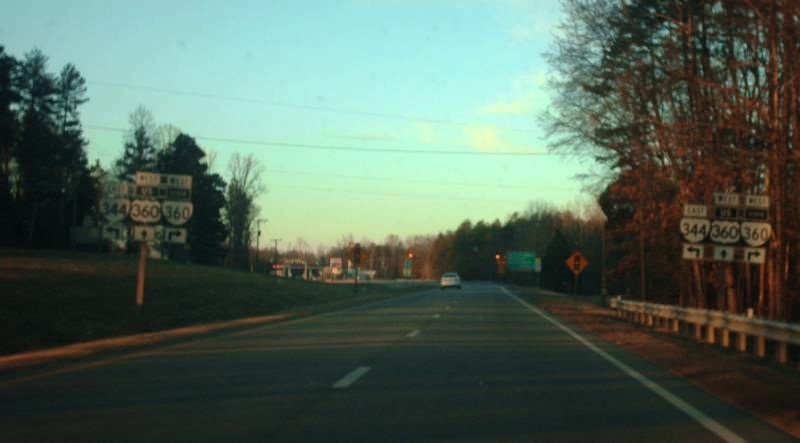 Not only does Virginia have both a US 360 and a VA 360, but they both have the same western terminus. 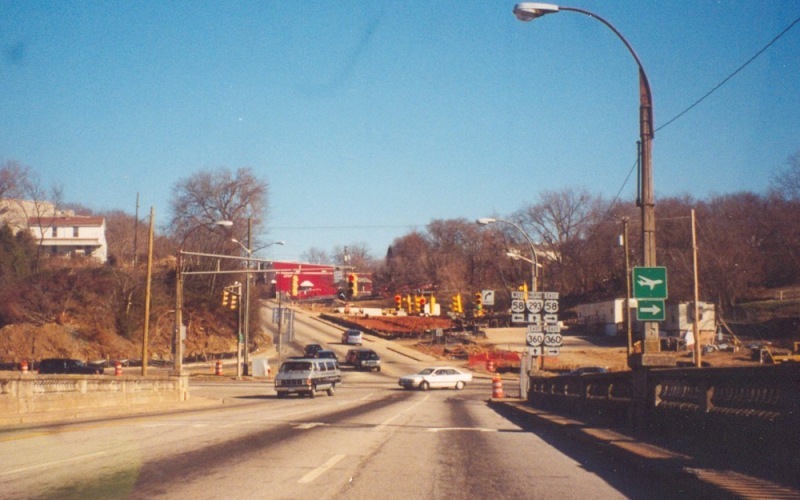 This is on the VA 293/Main St bridge over the Dan River, approaching the intersection with River St/now-BUSINESS US 58 (it was mainline US 58 when the photo was taken), where both US 360 and VA 360 begin. 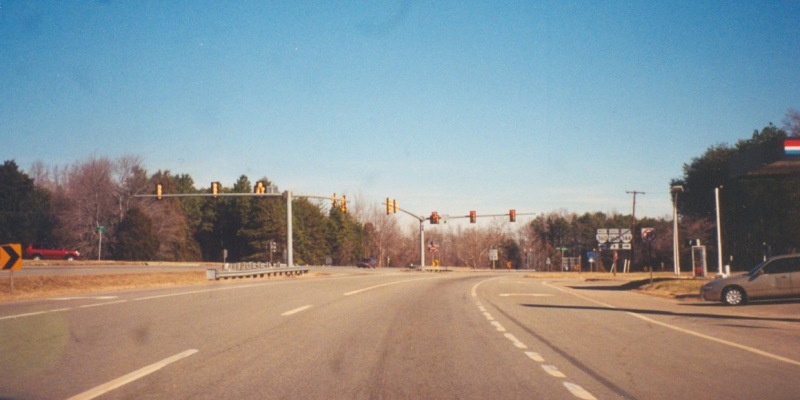 Photo by Adam Froehlig, taken January 27, 2002. This is the view from westbound River St/BUS US 58. Photo by Adam Froehlig, taken January 27, 2002. VA 360 shares a termini with VA 344, with both routes terminating at US 360. 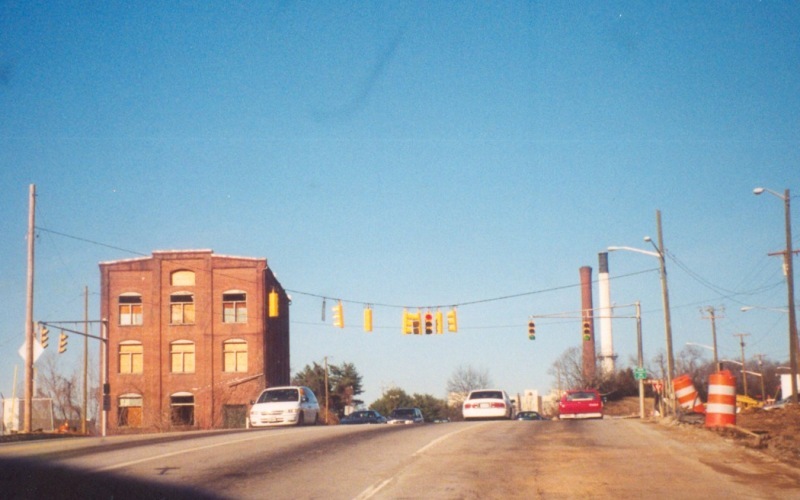 Photo by Adam Froehlig, taken January 27, 2002. Approaching VA 344/360 along US 360 westbound. Note the "US" and "STATE" banners to differentiate US 360 from VA 360. Photo by Mapmikey, taken spring 2010. 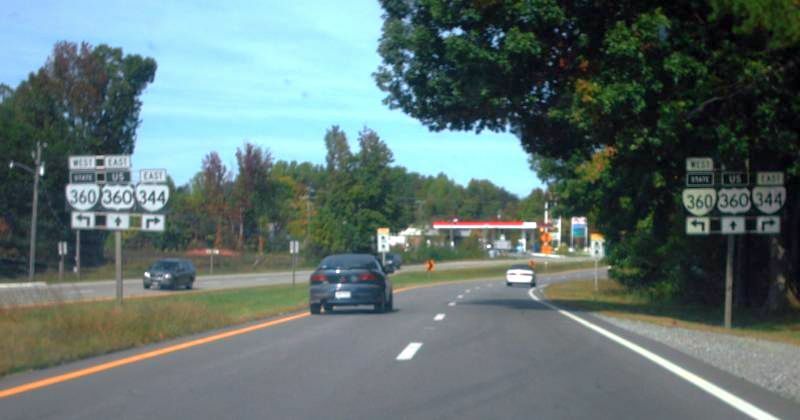 Approaching VA 344/360 along US 360 eastbound. Photo by Mapmikey, taken July 2011.